Mosaic Sphere Studio - taking care of all your Space needs here on Earth! 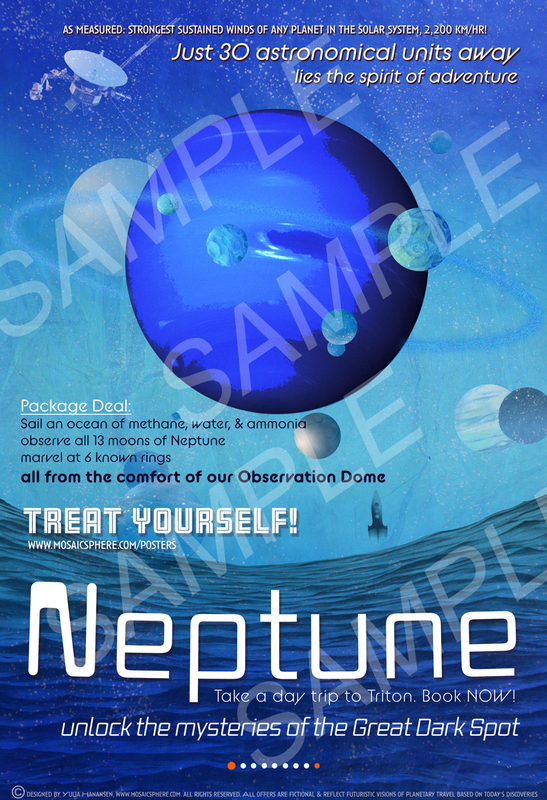 Hot off the press, for all your Space needs and cravings, Mosaic Sphere Studio presents: Dream On! 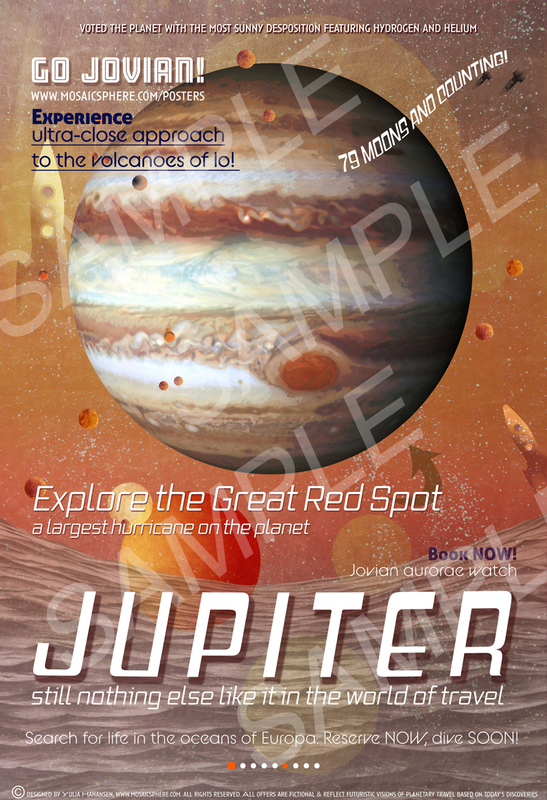 Visit Planets of the Solar System, a campaign to promote planetary space travel and interest in space research. 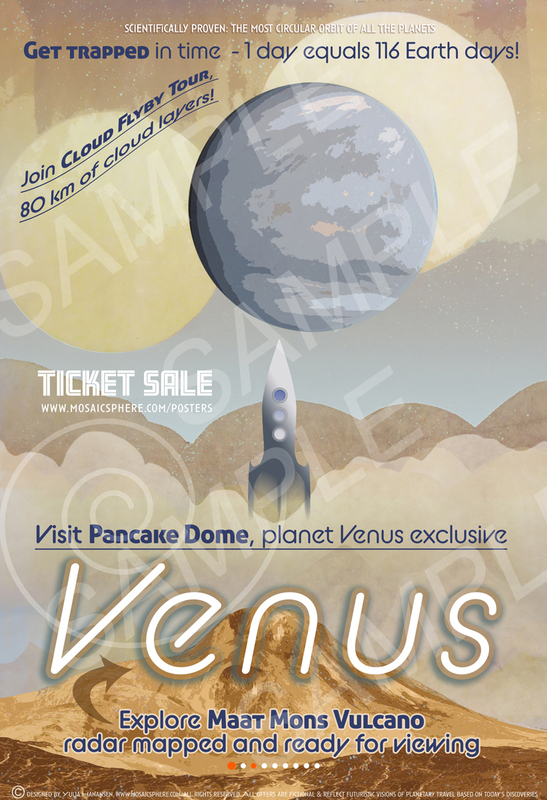 Limited edition posters designed and produced by Yulia Hanansen are available for sale from this website. 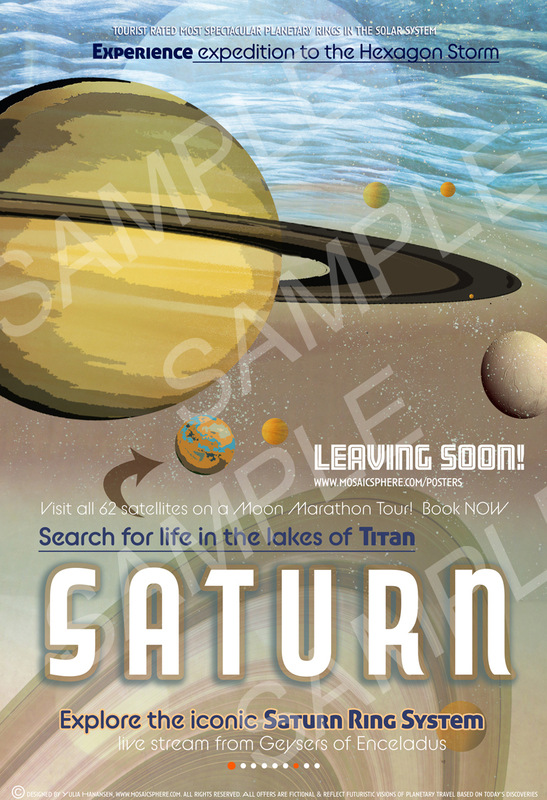 Inspired by retro style old-time posters and achievements of NASA/ESA/RSA. Powered by Yulia's original hand-pulled monoprints, lithographs, and drawings featured in each poster. Reinforced by elegant type design. 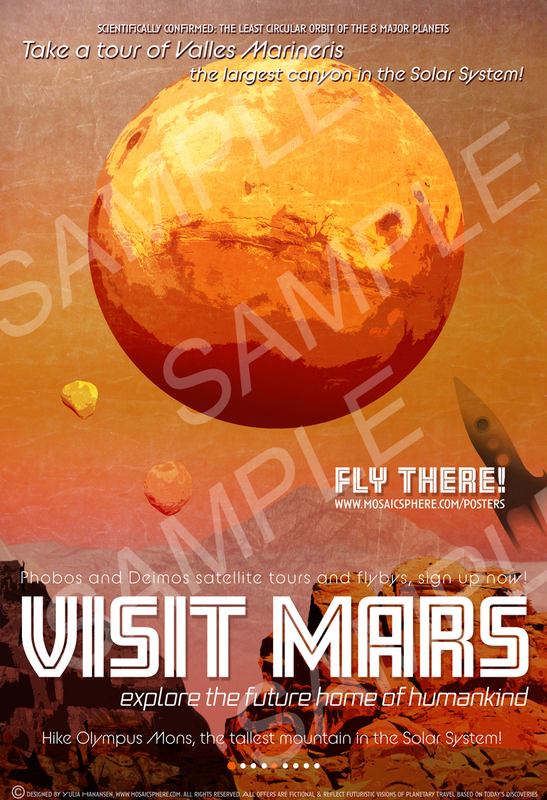 These posters will bring the reality of Space Travel to your living rooms and workspaces! They will pull you into their gravitational field with their looks and amusing information. 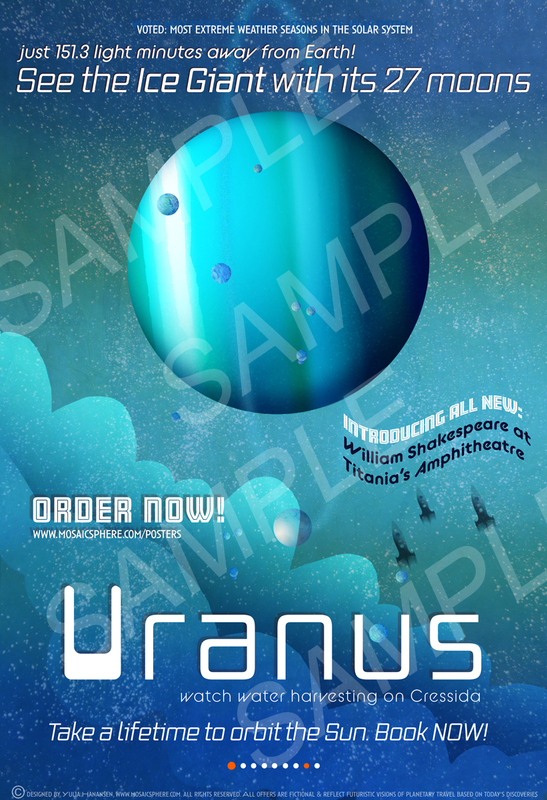 All the captions are based on futuristic projections and current day discoveries of modern day astrophysics. 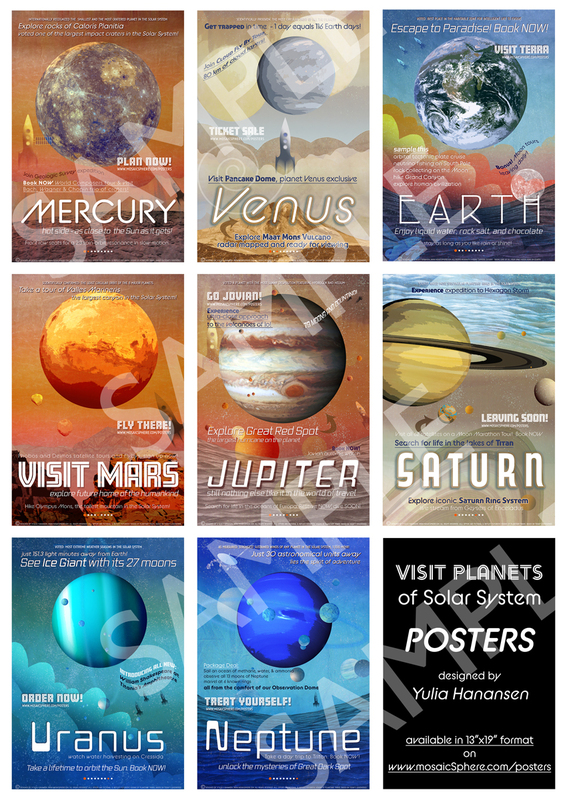 Every poster has a scheme indicating that particular planet's position in the Solar System. 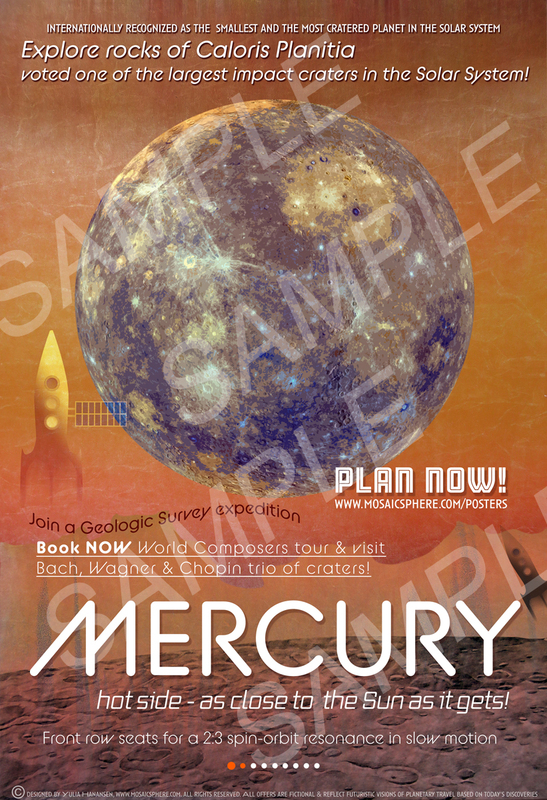 Posters are available in 13"x19" format to fit standard frames with 13"x19" image opening, sold unframed. Paper type: Professional Luster Photo. Professional colorfast (long-lasting) inks by Canon. 1 Poster: 13"x19": $30 ($50 with artist signature), unframed, plus shipping and handling. 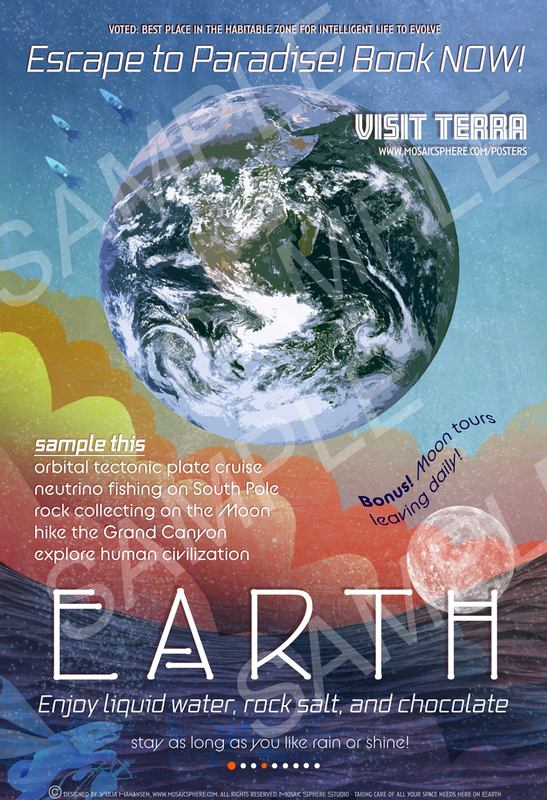 Collection of 8 Posters: $200 ($280 with artist signature), unframed, free shipping. Note: all transactions are processed via secure PayPal service. Shipping costs are listed for US only, extra shipping charges will apply for other countries.